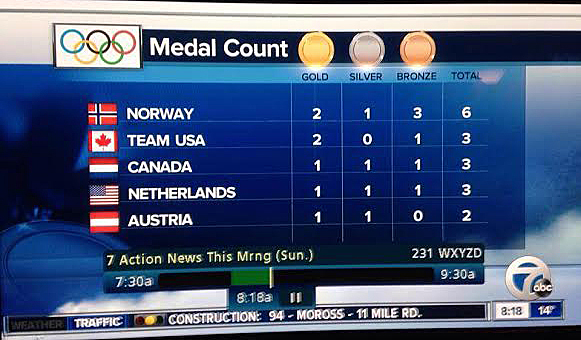 Notice anything unusual about Detroit station WXYZ-TV’s Olympic medal count leaderboard above? Of the five countries listed on the leaderboard, the station only managed to get Norway and Austria’s right — and the United States was reassigned the maple leaf Canadian flag. 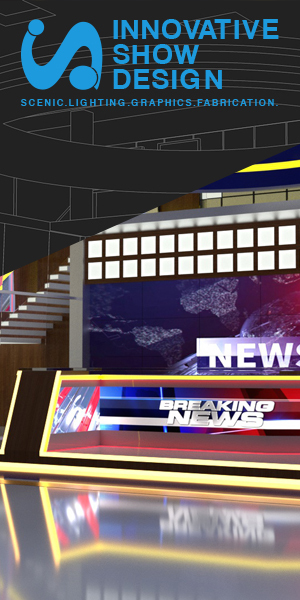 Romenesko heard from WXYZ-TV’s news director Dave Manney who explained the error was a result of a producer recycling the graphic from the previous day and neglecting to move the flag icons around.